The luxury landscape is experiencing strong evolutionary undercurrents with changing consumer profiles, government policy and the way luxury players operate, said a 2016 Assocham report. One such luxury player in this space is Zoya, a diamond boutique from the House of Tata that is looking to expand to cities like Bangalore, Hyderabad, Chandigarh, Pune. Currently, Zoya has three stores — two in Mumbai and one in Delhi. It has reopened its flagship store in Delhi, now located in South Extension neighbourhood. 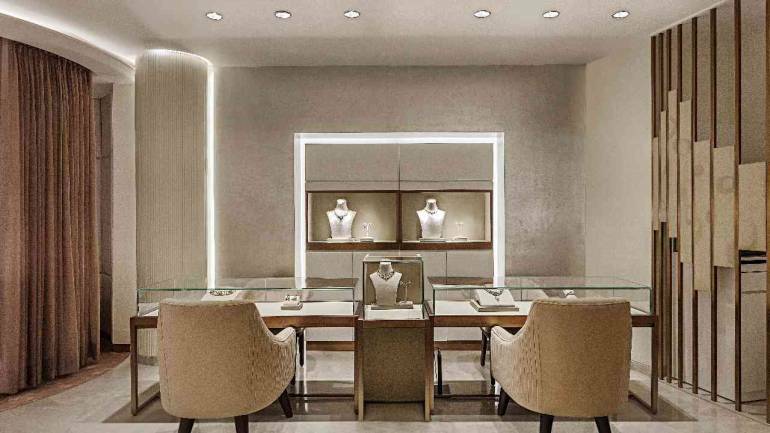 The new boutique of India’s homegrown luxury brand spreads over 4,600 square feet. Zoya’s 6299 Hollywood Blvd jewellery collection has a unique take on jewellery by drawing its panache from the undying glamour of three iconic Hollywood eras. According to the Assocham report, “Jewellery to suit the needs and wallets of the upper middle class and high net worth individuals is aplenty begging for choice. Innovations reign and design is the king”. Another collection was inspired by the poetic beauty of Kashmiri seasons and its picturesque locations, while ‘Musee Du Luxe’ or Museum of Luxury is a collection that pays ode to the sublime architecture, the rich culture and the inherent joie de vivre of Paris. It blends a modern style palette with vintage charisma, while summery whites paired with Zoya’s PezzoD’Arte, make for a versatile line of 37 pieces inspired by rich Italian history and style. The report also pointed out that designer or luxury jewellery is in great demand in India as the gold jewellery has lost its sheen as an investment vehicle. “Earlier, people would have opted for luxury cars. But now you have homes, holidays, all of which are creating a second lifestyle of luxury, and jewellery is very much a part of it,” said Venkatraman. “So clearly that is the way that this country (India) will go because of the significant association of jewellery with tradition in India and weddings, but it has remained underdeveloped,” he added. The rising price of gold is also attracting consumers towards luxury diamond jewellery, and Venkatraman can confirm the trend. “The more affluent and more discerning customers that Tanishq itself attracts the share of diamonds is much greater. The 20 percent share that we have today is across the Tanishq brand. If I have to look at more affluent and more discriminating segments within the Tanishq’s overall customer branching it would be the share of diamonds,” said Venkatraman. A recent 2018 Assocham study said that India’s luxury market is expected to expand five-fold in next three years and the number of millionaires are expected to multiply three times in five years. Another factor leading to increasing growth in the luxury jewellery sector is rising online jewellery sales. More and more brick and mortar retailers are setting up additional online portals as they are seeing a shift in consumer habits. And this has made online portals extremely lucrative.